Findings by SUNDAY PUNCH revealed that apart from keeping vigil at the National Assembly to prevent the All Progressives Congress senators from sitting, the Peoples Democratic Party members in the Senate have mapped out an arrangement to keep the red chamber save for Saraki until September 25 and beyond. Findings by SUNDAY PUNCH revealed that Saraki reached out to the Speaker of the House of Representatives, Yakubu Dogara, last Sunday night to suspend any form of reconvening last Tuesday, as earlier agreed by both presiding officers. SUNDAY PUNCH investigations further revealed that Saraki and Dogara agreed that only members of the Committee on Electoral Matters in both chambers should be recalled to hold joint meetings with officials of the Independent National Electoral Committee between Wednesday and Friday last week. 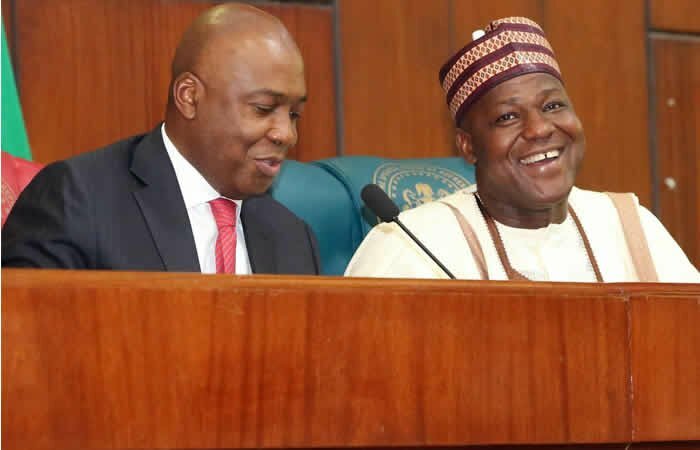 Further investigations by SUNDAY PUNCH revealed that Saraki and Dogara agreed to reconvene a joint sitting of both chambers sometime after the Sallah celebrations and adjourn afterwards. Saraki spoke through his Special Adviser (Media) Yusuf Olaniyonu, in a telephone interview with SUNDAY PUNCH, in Abuja, on Saturday.